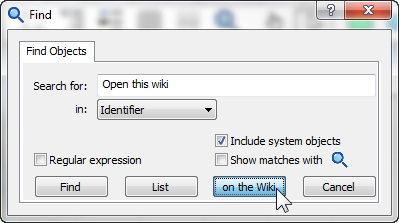 There are several ways you can open a page or search for information about a function or feature on this wiki directly from inside Analytica. These are really useful when you are learning Analytica. 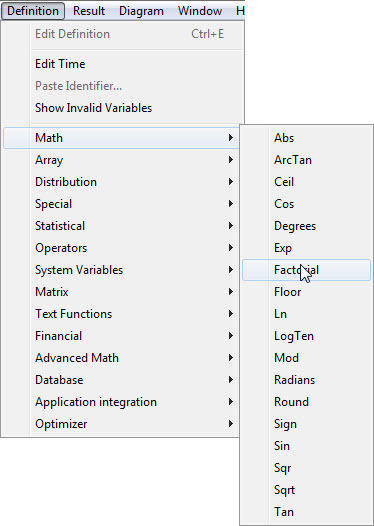 Open the Find dialog by clicking in the toolbar, or pressing control+F. Type in search text, which could be a feature, function, or anything you are looking for. It opens the wiki in your default browser and shows the page with title matching the search text, or a list of search results. 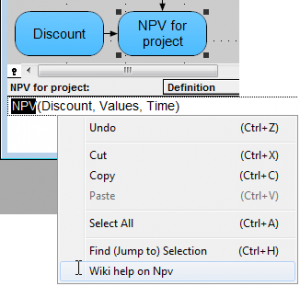 Double-click the identifier of a system function, say, NPV, to select it. 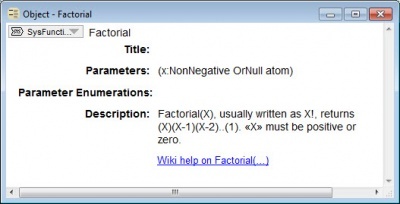 Click the blue link Wiki help on Factorial(...) to open its wiki page. What's new in this Analytica wiki?